Through the personal stories of several former black female Civil Rights activists, Reflections Unheard: Black Women in Civil Rights unearths the lesser-known story of black women’s political marginalization between the male-dominated Black Power movement, and the predominantly white and middle class Feminist movement during the 1960s and 70s, as well as the resulting mobilization of black and other women of color into a united Feminist movement. 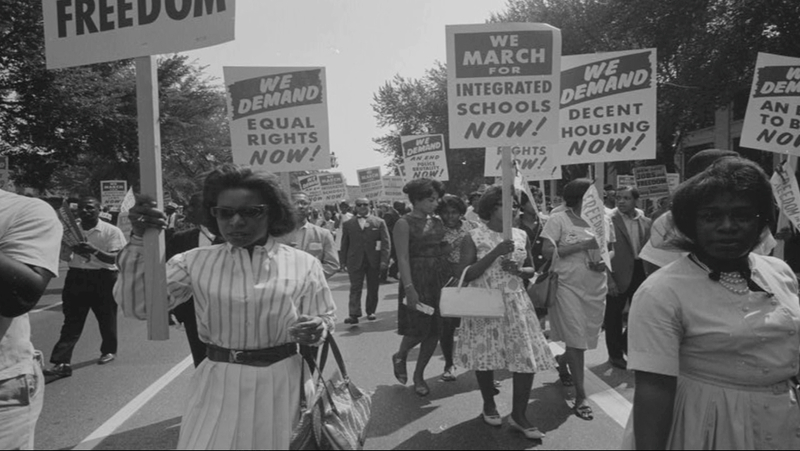 Reflections Unheard is a feature length documentary, and the first of its kind to focus exclusively on black women’s contributions and experiences during the Civil Rights era. Nevline Nnaji is a Film Director, dancer and multi-media artist from Northampton, MA. Her works focus on the internal struggles and transformative experiences of black female characters, using experimental and non-linear storytelling devices in film. She is a founding member the New Negress Film Society, an artist collective and activist space which supports and works by and about black women filmmakers. Nnaji’s first feature-length documentary, Reflections Unheard: Black Women in Civil Rights, first screened with MSNBC show host and Producer, Melissa Harris Perry in 2012 prior to its release. Nnaji currently lives and works in Berlin, Germany as a Dancer, Writer and Visual Artist on her latest project, Genesis of Nine.